Learn how to grow datura. 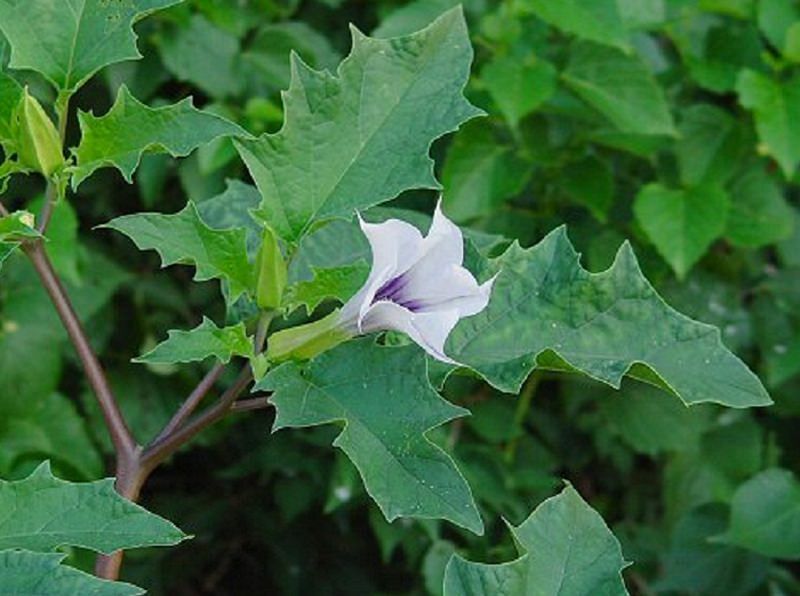 Growing datura is easy and this medicinal herb doesn’t require any special care or attention. Species and Varieties: The genus includes about twenty species. Datura stramonium, the Jimsonweed is often considered a weed and is one of the most poisonous plants in Solanaceae family. The plant is recognizable by its large leaves of 20 cm, dark green with jagged edges. 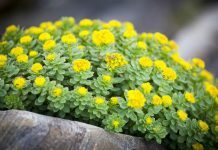 It has a bushier growth and the plant usually grow 60 cm high but it can grow up to nearly 1.5 m. The flowers are bright colored and appear in late summer. 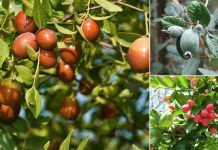 Followed by fruits that come in the size of a small apricot, covered with long needle like thorns. Growing datura is extremely easy. Just plant it in full sun in well-drained soil. Humus-rich, well drained and calcareous soil is required for growing datura. However, it tolerates a variety of soil types. Water your datura up regularly when it is establishing. Once matured, it doesn’t require watering as it seeks water deeply into the soil with the help of its long taproot. This plant is considered a weed. It can easily become invasive if grown in favorable conditions. The plant doesn’t bother by pests and diseases much. Still, spider mites, whiteflies, and mealybugs may attack it. 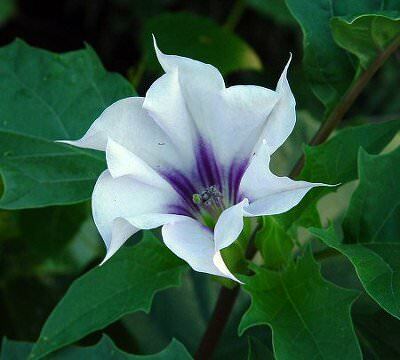 Datura stramonium contains powerful alkaloids. The plant if ingested can cause hallucinations, tachycardia, muscle weakness, and amnesia. 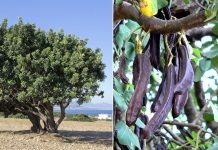 It is mainly used for medicinal purposes as a sedative. In Ayurveda, it is used to treat asthma or a cough. DO NOT GROW THIS! It is a deadly poison. The lethal dose is very close to the hallucinogenic dose. It is the famous ‘loco weed’, causing disorientation in cattle and horses, who may stampede and cause injury. It can kill children who eat some. Get another hallucinogen if that is what you want. DO NOT USE IT FOR MEDICINE if you are not a doctor or licenced, trained professional of the sort who can measure the doses and treat any overdoses. I don’t even know if OD can be treated. DANGER, better to leave this one alone. They all have beautiful flowers ,some species more than others . No one should ever ingest this plant for any reason unless you know what you’re doing.It can kill you. Thanks for the info! I’m going to throw my seeds in the ground this weekend and hope it grows. Ya its toxic but great for sphinx moths!